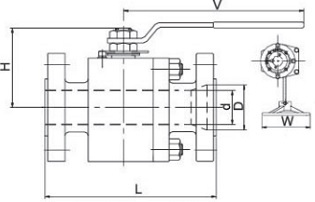 The G.A drawing illustration of metal seated floating ball valve class 600, forged steel 2 piece split body, side entry. 2. Dimensions of metal seated floating ball valve class 600.